The long-expected news came a few days ago. Ringnes/Carlsberg are scaling down their brewery in Trondheim. E.C. Dahls bryggeri was one of the big regional players, enjoying a cozy government sanctioned monopoly situation for decades. They were gobbled up by Ringnes a long time ago. And Ringnes was gobbled up by Carlsberg after an attempt of a merger. The Norwegian system of deposit glass bottles meant that it was sensible to have regional breweries, or at least bottling lines, but things have changed. Nowadays most of our home consumption of pale lagers consist of canned beer. Ringnes state that they will continue to brew E.C. 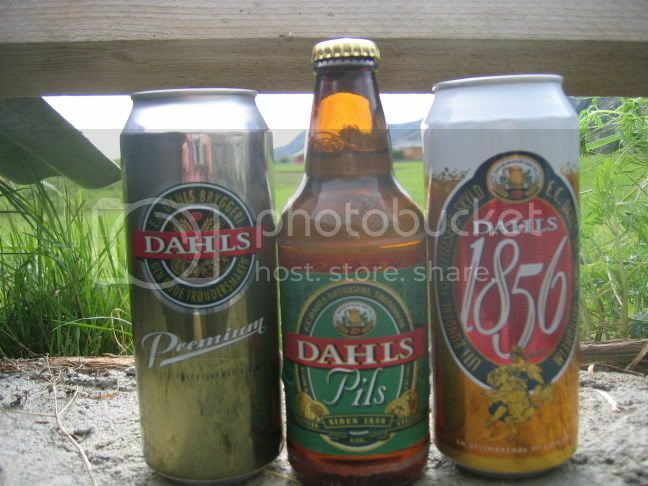 Dahls pils in Trondheim, but will cut the number of employees involved in actual production of beer and soft drinks from 134 to 14. It does not take much of a crystal bowl to guess that the number will be zero in a few years. What is happening when you scale down a production plant like this? You have a very valuable, centrally located piece of real estate just waiting for development. It does not make sense to keep on brewing in a small corner of this area. Storage and distribution of Carlsberg products made elsewhere takes some space, but it makes more sense to build a logistics center somewhere close to a transport terminal out of town. I do not feel much nostalgia over the death of E.C. Dahls. I am very happy to say that the Trondheim based Austmann Bryggeri, launched just a year ago, is filling up the shelves of shops and bars across the land. And they make more inventive and tasteful beers than E.C. Dahls (or the rest of the Ringnes group) have made in my drinking life. Which is approaching four decades. 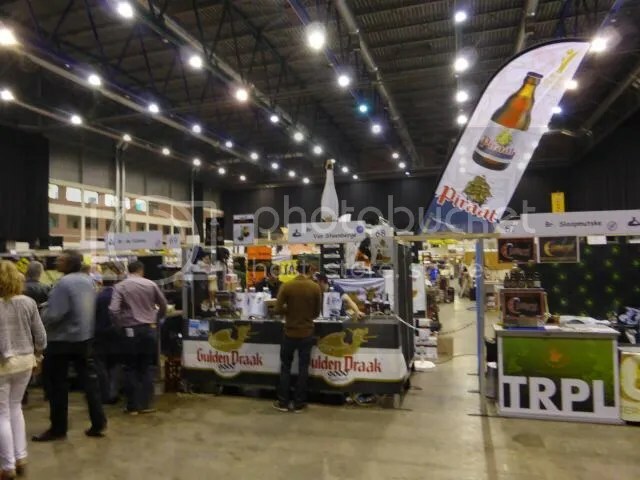 There are also small breweries popping up in the region – and the supermarkets have changed their attitude, they are happy to have real local products. Keeping a tiny presence for the time being is probably a PR move to avoid local consumer outrage over beer brewed elsewhere and passed off as local. I am sure there are men in suits who have calculated the risks. The establishment of Lervig in Stavanger some years ago was a result of Ringnes closing down their local operation. Though I’ve visited Stockholm many times over the years, my knowledge is to a large extent limited to the central areas, the most renown beer bars and the tourist attractions. When I was in the southern commuter town Södertälje, I managed to find a micro brewer. This time around I stayed mostly in the northern suburbs, but there is local beer to be found there as well. 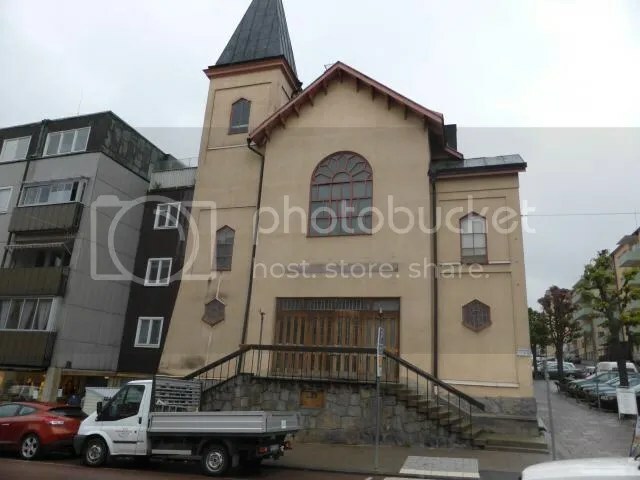 I found a reference to Sundbyberg Köksbryggeri in a web discussion. Köksbryggeri means kitchen brewery, so the name suggested that this was just a hobby. A quick search told me that they had indeed started out as a amateur outfit, but that they had gone professional earlier this year. As I was spending an oval weekend in a hotel just a few minutes away, I sent off an e-mail inviting myself for a visit and received a positive reply. When I arrived at Friday lunchtime, it turned out to be a rather busy day, as they were delivering their first consignment to Systembolaget, the governmental retail monopoly shops for alcohol. I am greeted by Thomas, one of the three brewers. He shows me the setup of the brewery. I later sit down with Per for a chat about the brewery and the Swedish beer scene. 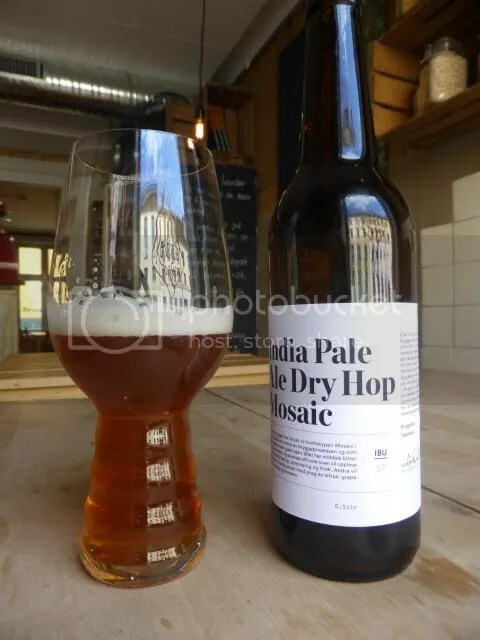 While they are taking a big step these days in delivering to the Systembolaget shops, they have been available in local bars and restaurants for some months. Sundbyberg today is a commuter town just a few minutes from central Stockholm by train or Underground. It has, however, its own identity, to a large extent linked to its industrial heritage. A century ago, the breweries and distilleries of this town supplied the Stockholm are with much of its beer and aquavit. The new brewery tries to be a part of this heritage, and the ambition is to stay local, to cooperate with local companies and associations. The local market is big enough, they already have problems keeping ut with demand. 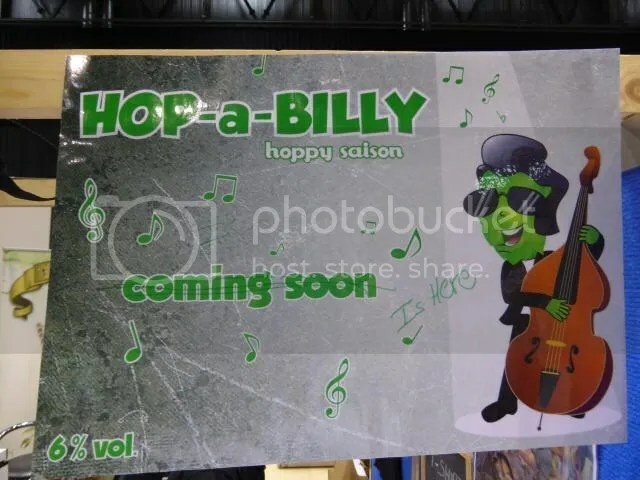 They also plan to open a pub on the first floor of the brewery, where there is already exhibition space for local artists. And the building is of particular interest. Because this is also a part of the Sundbyberg heritage. But it does not have an industrial pedigree. 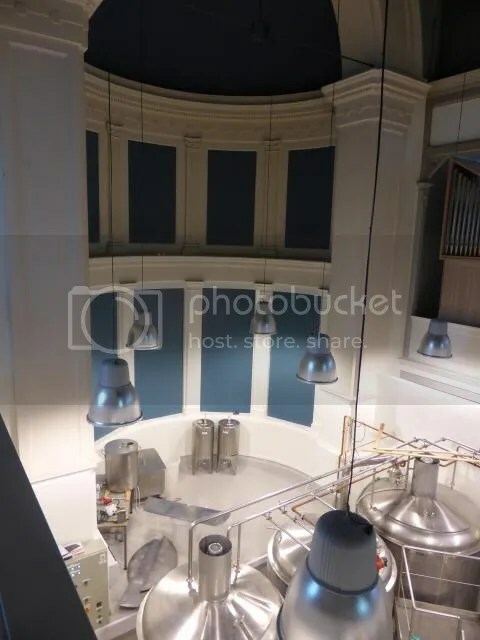 The brewery is located in an old church. For marketing purposes, they should have named themselves Church Brewery, not Kitchen Brewery. The building had been abandoned for years before it was refurbished. All religious elements have been removed. There are stained glass windows, but these are abstract, so they do not carry any Christian message. 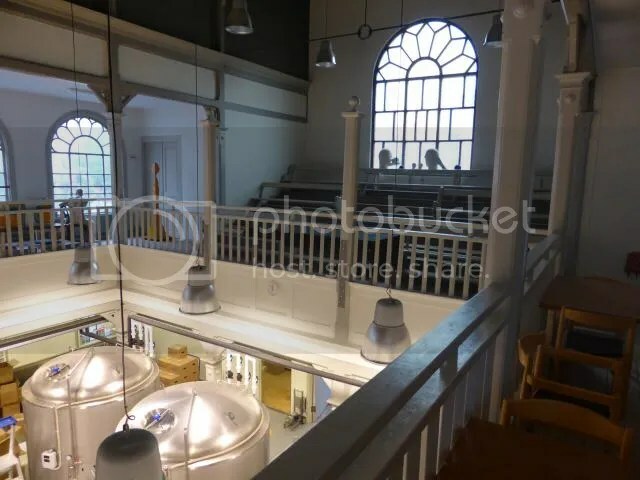 The new inhabitants have been in touch with the congregation when they stared up, and they even have had the pastor coming in to taste the beers. As for the refurbishment of the building, there were a number of challenges. There is a blog about this for those particularly interested. The three friends who run the brewery – Per, Peter and Thomas – do not have any formal qualifications in the field, but they are experienced home brewers. Two of them share a flat, the kitchen in the name is the kitchen of their flat, where they have brewed lots of beers. 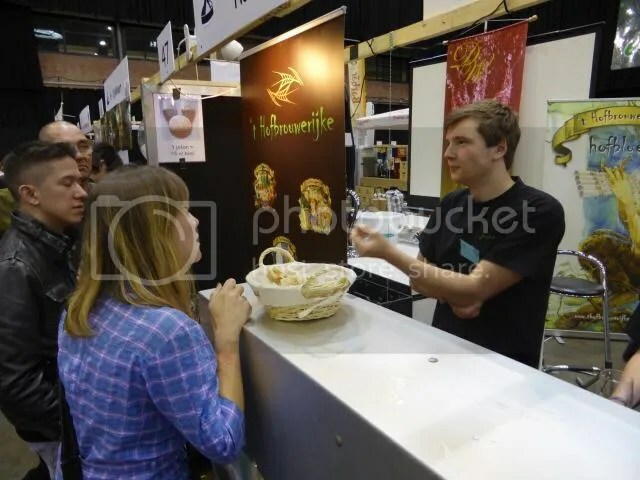 The aim, now that they have gone professional, is to brew balanced beers, often in a British style, but also with nods to Belgium and Germany. The beers being distributed now are an English bitter, a Kölsh and a Saison. These are beers with moderate amounts of alcohol – and moderate amounts of hops. Everyone else brews American style IPAs, they prefer to go for something else. The Kölsch – Halvlager – has become very popular for those who want an all-round alternative to lager to serve with food. Fruity, with a pleasant dry mouth feel. The saison is brewed with a fair amount of coriander, and wehat malt and passion fruit is also added. The saison yeast makes it a saison rather than a wit, but it blurs the distinctions between the two styles. 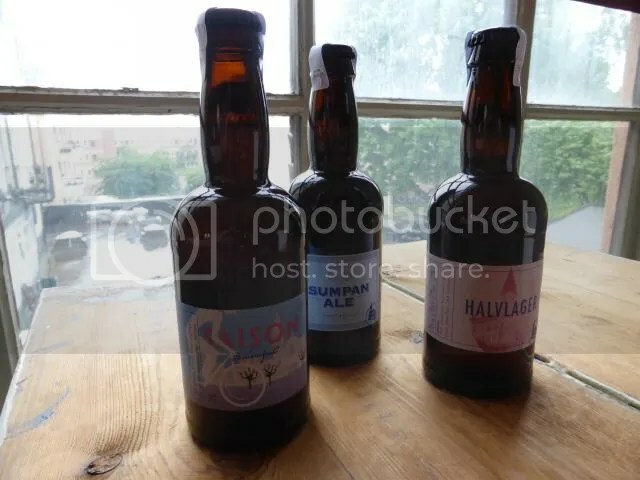 The Sumpen (slang for Sundbyberg) ale is closely related to an English bitter, a fine session beer. Their beers are, as I said, widely available in the area, there is a map on their web site showing where to find them. The bottles can be delivered to any Systembolaget shop, I don’t know if you have to order a minimum number of bottles.